On this page you will find corsets I have handmade, or corsets that I have previously purchased for review and now am trying to sell to clear up space. Each piece has an asking price, but we can negotiate up or down from there. Please email me for any questions or purchase. Suspending/stiffening the modesty panel with bones is $20, or plastic canvas is $15. PLEASE NOTE THAT APART FROM THESE MODIFICATIONS OFFERED, ALL CORSETS ARE SOLD AS-IS AND ALL SALES ARE FINAL. Disclaimer: I’m located in Canada. Shipping cost varies depending on whether you would like surface or air post, with or without tracking, and the size/weight of the corset(s). Underbusts will be closer to the lower end, overbusts to the higher end. Please email me with your country and postal/zip code if you’d like a more accurate estimate. US: Air shipping (no tracking) takes 1-2 weeks, $16-$23. Express (max 3-4 days, with tracking) is on average $25. International: shipping overseas by air (2-3 weeks) is often $25-30 for underbusts and close to $45 for overbusts. If you’d like Express with tracking, please inquire. In all cases, if I get to the post office and I find that the shipping is less than what you paid by over a dollar, I will ask if you’d like a refund of the difference. At this time I only accept Paypal for payment. Its policies protect both of us. I prefer payment in US funds, although if you live in Canada I may accept Canadian funds (please inquire; this depends on how strong the dollar is). Payment plans/ multiple instalments: Note that there’s been a change in policy for payment plans: Due to non-serious customers wasting my time, I now require a 50% non-refundable downpayment on any purchased corset. All corsets must be paid in TWO instalments (50% downpayment, 50% 2nd payment), or THREE instalments (50% downpayment, then two other payments of 25% each). If you fail to answer emails or cannot make payment, your downpayment will not be refunded. ALL SALES ARE FINAL – IF YOU HAVE ANY QUESTIONS ABOUT THE CORSETS, I WILL BE HAPPY TO PROVIDE CLOSE-UP PHOTOS. Click the picture to see this dress in action. “Honey” Red Poplin dress from Trashy Diva (the “twin” to this Ophelia dress by Lindy Bop). I am wearing the Lindy Bop in this photo for demonstration, but the Honey is nearly identical, save for a touch lighter red and one size smaller. See the review here. The Honey dress still has the tag on – only tried on twice, before I realized how short the bodice is. HAS POCKETS! Size 4: Bust up to 36″, waist up to 26″, hips free (circle skirt). Your torso length, from shoulder to natural smallest waist (measured along the back) should not be more than 14.5 or 15 inches long. Your ribcage (underbust) circumference should not be more than 28 inches. There are some faint anti-perspirant marks on the bottom of the armscye but it should come out in the wash. Dress only, does not include petticoat, corset (worn underneath), etc. REASON FOR SELLING: I have a long torso and fuller ribcage; cannot fit this dress. PRICE: The dress was originally $108 USD. I ended up paying $148 after shipping to Canada and taxes/ border fees. I am asking $54 (half price). “Mansfield” dress from Trashy Diva, in olive green. New with tags – only tried on twice, before I realized how short the bodice is. This is made from a beautiful and soft heavyweight knit with plenty of stretch, except for right at the ribcage where I need the most space. Perfect warmth and color for autumn. Size 2: Bust ~36″ (has stretch), waist up to 26″ (firm interfacing at the waistband), hips ~40″ (has stretch). The length of the torso along the back, from the shoulder to where the firm waistband begins, is only about 13.5 inches. It is designed to fit a bit like an empire waist, but the waistband has zero stretch. Your ribcage should be 27 inches or less to comfortably zip closed this dress. The interfaced area of the waistband is 4 inches high. Total length of this dress, from collar to hem, is about 35 inches. REASON FOR SELLING: I have a long torso and fuller ribcage; cannot fit into this dress. PRICE: The dress was originally $159 USD. I ended up paying $202 after shipping to Canada and taxes/ border fees. I am asking $80 (half price). “Oriental Princess” ensemble by Serindë, SIZE 24. See the review here. Modelled a few times, for a photo shoot and for my Youtube video. Includes haltertop corset, matching full-length trumpet skirt, and lace shawl. Corset: Ribcage 26″, Waist 24″, high hip 32″. Bust “free” (adjustable halter straps). I wore this corset with a V shaped lacing gap and it still looks nice. Lace shawl: 50″ long and 11″ wide. REASON FOR SELLING: I don’t really have any event where this would be considered appropriate attire. PRICE: The corset alone is normally worth ~$300 USD new. I’m asking $200 USD for the entire ensemble, plus shipping. Please email me with your country and zip code if you’re interested in this piece, so I can calculate shipping! I got these in bulk to do some repairs on my pre-existing cinchers, but they were the wrong length. $5 each, plus shipping (up to 20 busks available, please inquire how many you want and provide your postal code so I can calculate shipping). Pinup Couture Ava dress in teal. Size Large. I purchased this for $114 USD and wore it once for an interview, but then I lost 40 lbs. Asking $80 plus shipping. Tracked Packet shipping (insured and with a tracking number) is usually $15 to the US or $10 within Canada. All prices in USD. Postcards (blank or signed, your choice), $10 and FREE Worldwide shipping. Please choose either “Pink Corset” or “Red Corset” and whether you’d like it signed on the back or kept blank. These are limited stock and will not be reprinted. Hello there! I’m kayla I know this seems weird but do you have a clue of places that buy corsets from people? Some are brand new never open still in the plastic. Some are body suits. Some corsets. I was going thru old boxes in the storage unit and find tons! Could you recommend anyone? Maybe give me a few tips. Thank you so much. Hi Kayla! I’ve had some good luck with the Facebook group “Corsets On Sale“. They only accept steel boned corsets though (not sure if you have plastic boned bustiers but they will delete those posts). Best of luck! Do you also sign the front of the postcards? But the button doesn’t seem to work for me. I’d still like the signed postcard in red. The link never seems to work for me. My Paypal email is [redacted] if that helps. Hi Joy, so sorry for my late response – I’ve just sent you an email! I’ve also hidden your email address on your comment so you don’t get spam by any bots that crawl around on the internet. I look forward to speaking with you soon! Hello, I really want one of your conical gemini corsets but I don’t know if you ship to Spain. Hello Blackbunny! Yes, I do ship to Spain. The estimated shipping would be $46. I’m sorry it has to be so expensive, but this is what the post office charges! But I do have a flat rate, so any additional items purchased in the same order would not increase the price of the shipping. Hello. I really like your page. I would like to wear a waist trainer to help with my weight loss. 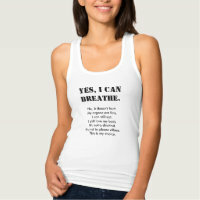 I would be wearing it while exercising. I have an ileostomy. Would a corset also be good for that? I have no idea where to start. Or even what size I would need. Thank you for any help you can offer on the matter. By the way, you’re gorgeous! Hi Jessica, thank you so much for your comment! Unfortunately I don’t recommend wearing corsets while working out, but there are some other corset makers who have made some flexible sports corsets – Strait Laced Dame corsetry, and Crimson Rose Corsetry (both out of Colorado). 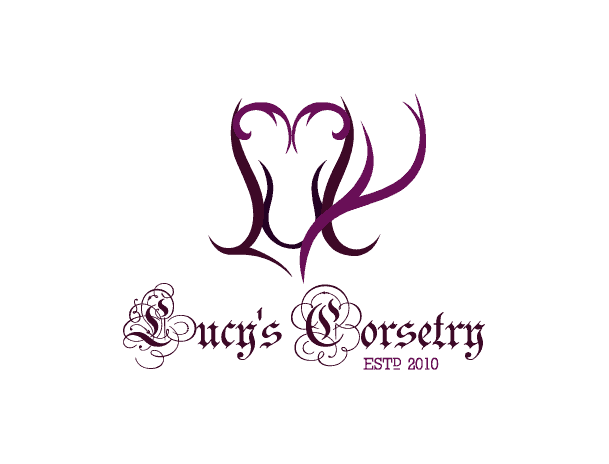 You can check out the corsetiere map here if you’re looking for a corset maker in your area! I saw your comment below as to where to sell, after I posted my question. Sorry about that. I can’t do the facebook thing. Once time I tried to sell a used item and instantly I was flooded with ads about it and posts from weird people. I won’t do facebook. Might try craigslist via local pickup. Thanks again. I have an unused waist training corset, still in package, with tags, mesh, 26 steel bone, size 32, playgirl label. Its a great item,good quality, I know someone would love it. I have it listed on ebay but no one is looking. Any tips about where else I might post it for sale? Thanks!! Need to order matching skirt for my Meschantes corset. No response from their website any ideas lease? Hi LindaRose, unfortunately that brand is somewhat known for their poor communication from their website, which is why I generally recommend doing all business through their Etsy shop (they want good Etsy reviews so they will generally work harder to keep their clients happy through there). What size are the pink or red one and how much? Hello Bessie, the red corset for sale here is the whole Serindë outfit for $200 (includes corset, skirt and shawl). But the pink and red corsets at the bottom of the page are postcards, $10 each – those actual corsets are not for sale, sorry. I’m interested in buying the Laura Brynes Isabelle dress in black size large. Please contact me via email asap if it’s still available. Hi Vince, thanks for your comment. I sent you an email just now about the dress! Hi lucy.I’m looking for the corset u showed on ur YouTube on october 31st 2012.Do u have it on a medium or large please let me know? Hi Najma, was it the “Tummy ooze” video here? I sold that particular corset a long time ago, but I do sell longline corsets that extend low over the tummy and hips in this section of my shop in all sizes. If you need help finding your size, I have a free sizing service on this page. Hi there – are these dresses still for sale? I am not sure how to proceed from above. thank you! Hi Clarice, yes the dresses are still for sale! Send me an email about which one you’re interested in, and if you let me know your postal / zip code, I can calculate shipping for you. :) Thanks! just for the gently use or the new set as well? Payment plans/ multiple instalments: Note that there’s been a change in policy for payment plans: Due to non-serious customers wasting my time, I now require a 50% non-refundable downpayment on any purchased corset. Corsets can be paid in two instalments (50% downpayment, 50% 2nd payment), OR three instalments (50% downpayment, then two other payments of 25% each). If you fail to answer emails or cannot complete your, your instalments will be refunded LESS the 50% downpayment (which will not be refunded). Why are so many of the OTR corsets so tiny in the hips? Is a 10″ natural difference between waist/hip measurements REALLY that odd/hard to accommodate? Polearina, these are corsets from my personal closet. I have a small natural hip spring, therefore the corsets I wear reflect that. If you are looking for corsets with a larger hip spring I recommend looking through the Lace Base. Hello! I was wondering, do you know where I can commission an overbust corset that is modeled after the Edwardian Era? Specifically the early 1900’s? I am planning a Titanic costume event and would like an appropriate corset to wear under the dress I made. Hi Jennifer, I have a whole gallery of Titanic Era Corsets over here! :) Clicking on each photo will redirect you to the online shop or corsetiere where you can learn more/ purchase them. I hope this helps! Thanks for your informed web site. I am interested in knowing more about the corsets that you have for sale. Hi Marie, most of my corsets are new, dropshipped from the warehouse to you – you can learn more about them on this page in my shop. :) The gently used corsets and samples page is updated less often. Hi Anthony, I generally don’t recommend the stretchy waist cinchers, but as you’re under 18 this might be a better choice for you since many corset makers will not accept a client under 18 (the legal age that you can start body modification – unless you have your parents’ or guardians’ approval). I talk more about age and corseting here. i m interested in a under the breast corset. I have a small D breast size, My hips are 36 inches. My waist is 35 inches. My funds are limited. Please let me know if you have anything for me. Hi Christine, I don’t have any corsets in your size in the gently used section, but you’re welcome to look through my selection of new corsets. If you’d like to be properly sized, I have a measuring guide and contact form here. Any “50-ish and just-starting out” pointers/suggestions you might have would be very welcome! Hi Merrillee, thanks for your comment. I had more gently-used corsets for sale in the last week, but about 10 of them sold on the first and second days! This is the only one left, currently. However I have some affordable OTR corsets in my other corset shop here, all of these are brand new and have a full refund / exchange policy. If you’re close to 50, I would suggest reading through the article on age guidelines (although they’re directed more towards people who are too young to wear a corset). Basically, make sure that your blood pressure is good, that you have strong bones and that you don’t have bladder / uterine prolapse. If your doctor gives you a clean bill of health, you should be good to go. Hi Eileen, as far as I know, there are no corset brands that allow you to “rent out” a corset before buying – but most have return / exchange windows so if you buy their corset and you don’t like it, you can send it back for refund. I go over those return / exchange policies for various OTR companies on this page. What I would give to get another one of amy’s corsets, as a former client & college student-I will miss this once in a lifetime custom wasp that I will never be able to recieve again. Whomever recieves her cosets through the auctions, you have aquired a piece of history much missed in the community. Take care of the corsets ad you would a child. That Morgana Femme 1331 is in my wish list , is so pretty but if is long for you definitely is longer for me. I guess that I have to buy it from their website and ask if they can cut it a little bit shorter. Is the blue one still available? Hi Nykole, yes the blue one is still available. :) Please email me for more information. Thanks Lucy I just sent you an email. I am interested in the red/bronze corset. Hi Tori, thanks for your interest! Please email me (Bishonenrancher-at-gmail.com) if you’d like to discuss further. Hi Lucy! I am interested in the Corset Connection Valerian 26″ but I am a little concerned about the bust. I wear a 34DDD bra will my bust be to large for the corset? Hi Glenni, thank you for your inquiry! I wear a size 34D (at the time I recorded the video, my bust was about 36.5″) and there was still ample room in the corset for a larger chest. The silhouette is such that the chest is roomy, but flat (not rounded like a bra cup). There is also adjustable lacing in the center front which you can open a little bit for more room in the bust, and/or you can open up the side shoulder straps, and or wear the corset with a 1-2″ gap in the back if you feel you need extra room. This corset seems to be very easy to adjust for different body types and sizes. Hello Lucy. Your corsets are absolutely beautiful! One that catches my eye is the last one from your corset video on YouTube that you have yet to review. I understand that you need to the review first before you sell it, but I was wondering if you could give me an estimate as to how much you would theoretically price it. Thank you! Hello Yaxaira! The longline corsets are usually $120 new, and I was hoping to sell mine for about $80 because it’s in very good condition (I’ve basically been gently breaking it in, but otherwise not putting it through any harsh wear or abuse). Thanks for your interest! I just wanted to say thank you for being you. Your knowledge and understanding of corsets is invaluable for all of us just getting involved with corsetting, and your willingness to share your vast arsenal of information is awesome. You seem to be so caring, and honest. I truly hope you do well in all your endeavours. Hi Karen, yes the straps are both adjustable and removable using the buckles at the top. :) But to get rid of the buckles you will have to use a seam ripper and pick that line of stitching. I love these corsets, especially the blue one. My heart dropped when I saw you were selling it because its just so beautiful, but I understand why. Some people are going to be getting really lucky with these amazing pieces and their amazing prizes!